Kazi Amdadul Hoque is currently working as Director of strategic planning at Friendship Bangladesh contributes in strategic direction and enhancement of all programs and support services; ensuring the development and delivery of innovative and impactful programs across the country. In addition, Kazi leads a team with a mission to build disaster resilient communities in Bangladesh. This is to support and create facilities in remote communities for mostly migrated people due to river erosion or other disaster. In all that work, the fundamental importance to respect the people' dignity. Friendship is a value-based organization; its interventions are Healthcare, Nutrition & Population; Education, Good Governance; Disaster Management & Infrastructure Development (DMID); Sustainable Economic Development and Cultural Preservation in more than 500 Char (sandbar island) and Coastal communities. Kazi Amdad has acquired more than twenty years of accumulated professional experiences in the field of development, consistently engaging in qualitative and lasting change in the social structure and building basic mechanisms for services to the people and rights of the children. He worked with UNICEF, Save the Children, IOCH/USAID, INIP and some other organizations to support communities, different departments of government/ local government, civil society, faith based organizations, media and private sectors. 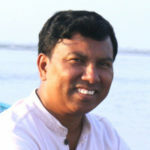 He contributes for different policy and guidelines with government and private sector in Bangladesh and for many publications as author/reviewer.